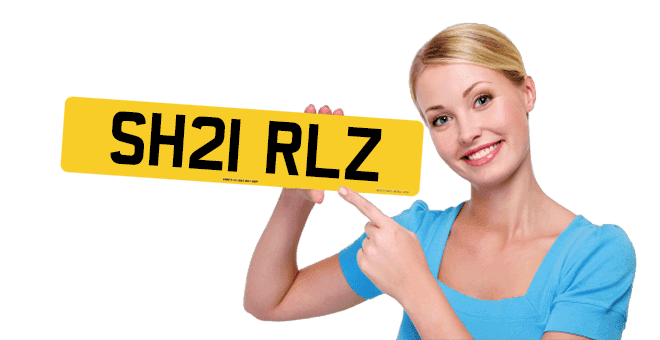 Private Number Plates, also known as Personalised Number Plates can be purchased and used on DVLA registered vehicles. You may wish to personalise your vehicle or proudly display a hobby or interest. Perfect for hiding a vehicle’s age, they can also prove to be excellent investments and make gifts. Amy contacted us wanting to know how to find a set of private number plates to reflect her bubbly personality and hide the age of her vehicle, so we suggested K155 ESS among others. We have also compiled a helpful guide here to assist you in finding your perfect match, whether you are looking for something fun like Amy, something personal to you or just something to hide the age of your vehicle. If you need more help, just click here to request a call back from one of our friendly sales team. You may put your chosen registration mark onto your vehicle (assign it) or keep it on retention until you are ready. See our helpful guide here to answer any questions you may have about how to use a private number plate including Assignment, Transfer and Retention processes. Important DVLA rules to consider when displaying Number Plates. - It is illegal to misrepresent the format of a number plate. - Vehicles must have current MOT (if of the necessary age) and Road Tax (or be exempt) to take part in the government transfer scheme. - Number Plates always contain a number. How does selling private number plates work? If you have one which you no longer wish to own, you can list it for sale through our website. Simply click here to register your details and as soon as we have any interest we will contact you.